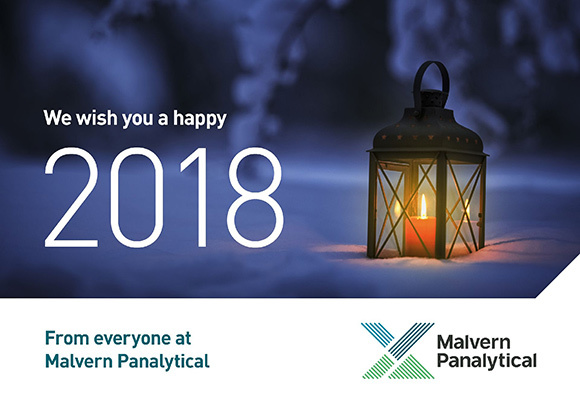 Happy Holidays from Malvern Panalytical! It is now almost a year since I took on my position as President of Malvern Panalytical, following the merger of the businesses Malvern Instruments (Malvern, UK) and PANalytical, (Almelo, the Netherlands) including ASD and Claisse on 1st January 2017. As an international company, we take our social responsibility seriously, and supporting charities worldwide is part of Malvern Panalytical’s contribution to creating a better world. I would like to take this opportunity on behalf of the whole company, to wish all our employees and other readers of this site our very best wishes for a joyous holiday season, and a happy and prosperous New Year! Connect with us on our social channels: Twitter, Facebook, LinkedIn, YouTube, Google+, and Instagram.